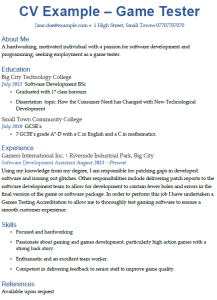 Use this CV Example for Game Tester job applications. A hardworking, motivated individual with a passion for software development and programming, seeking employment as a game tester. 7 GCSE’s grade A*-D with a C in English and a C in mathematics. Accreditation to allow me to thoroughly test gaming software to ensure a smooth customer experience. 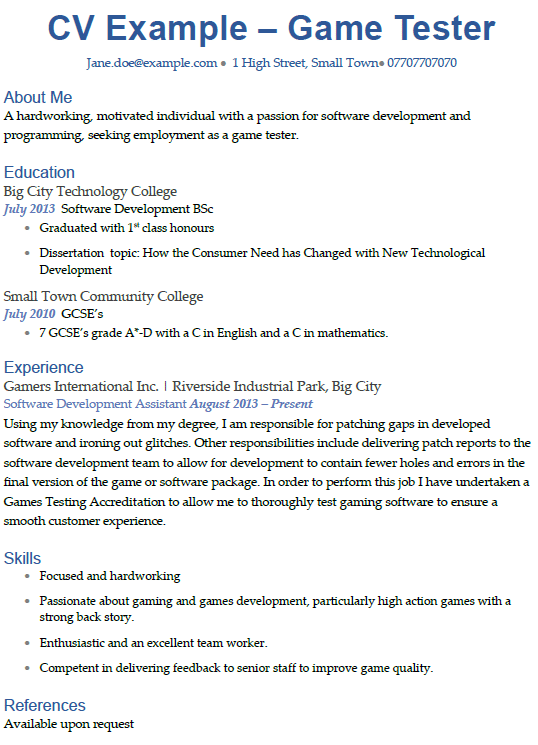 Passionate about gaming and games development, particularly high action games with a strong back story. Enthusiastic and an excellent team worker. Competent in delivering feedback to senior staff to improve game quality.